Are you looking for inspiration on places to share your affiliate link? Well, you’ve come to the right place! We have scoured the web and found not just 30 ways to share your link, but 30 ways that actually work. There are thousands of affiliates that generate enough revenue from affiliate commissions that they are able to quit their day jobs and live solely off their affiliate paycheques. There are some that even earn well over six figures and make bank literally while they sleep. Being a top paid affiliate is the dream and can give you the life of freedom and luxury you’ve always wanted. This can only be achieved through hard work, perseverance, and building a community of diehard fans. It is possible though and we hope these 30 marketing ideas will help you on your way. If you haven’t already signed up to be a Jungle Scout affiliate you can do so below. Our program is free to join, easy to sign-up and requires no technical knowledge. Ok, it’s time to jump right on into it! Here are 30 ways you can skyrocket your affiliate revenue. If you don’t already have a blog with active users reading your content you need to jump on this right away. Blog posts are one of the best ways possible to share an affiliate link. They are easy to get started, affordable to set up and provide a ton of SEO value to your site. If you blog about content that you’re an expert in, the content is relevant to your audience and the content is not easily accessible anywhere else then you’ve hit the trifecta. Over time your subscribers will trust the free advice you’ve given them and will click your affiliate link to purchase whatever you are suggesting will better their lives. There’s a good way to comment on a blog post and very bad ways to comment on a blog post. You can respond to comments from your own blog subscribers and slip your affiliate link in the answer if it is relevant. You can also respond to comments on other popular blogs in your niche. You need to be careful doing this as it can come off as spam and your comment might get removed. But if the author can clearly see you’re trying to help their users they might be ok with it. There is a big problem with bots spamming the comment sections of blogs. So you need to ensure you’re putting the user first and only sharing your affiliate link if it is beneficial to them. Everyone loves to win prizes. Hosting a contest is a fantastic way to generate buzz around your brand and get your users engaged on your website. You can do a social sharing contest, or photo/video submission contest, or sweepstakes. The options are endless are endless and you can get as creative as you want. If you tie your affiliate link to the contest you can easily get your subscribers to share the link with their network to generate more traffic. You can also make your subscribers enter the contest by purchasing whatever your affiliate link leads to. Craigslist is one of the largest classified ad websites on the internet. Millions of people around the world flock to Craigslist to view classified ads in their city every day. It is also the perfect spot to advertise whatever product or service you’re offering to potential customers. Craigslist does have a rule that no affiliate links are allowed on the site. However, you can bypass this rule by funneling leads through a landing page first that promotes whatever you’re trying to sell. From there you can add multiple calls to action that link to your affiliate website. Presto! You’ve got a free advertising platform to generate thousands of leads to your affiliate link. Dribbble is an online community for designers to promote their works of art. If you want to promote a new web design, logo, infographic, brand, etc then Dribbble is where you gotta be. If you’re planning to share your work of art with the world and your affiliate link relates to it then you’ve come to the right place. You can easily get thousands of eyes on your artwork and potentially drive qualified traffic easily to your affiliate link if done correctly. Ebooks are like long-form blog posts that are beautifully designed and contain a ton of valuable, in-depth content on a subject. Since this content takes so long to create and is extremely valuable to the right user you can either hide it behind a landing page and force the user to complete a form to get access to it or you can even sell it for a price on your website or sites like Amazon. Since ebooks contain so much detail about a specific niche it’s the perfect spot to include your affiliate link and educate the user why they need to have this product or service in their life. Email marketing is one of the most powerful marketing tools on the internet. Some sites say “email marketing is dead.” This is so not the case. Email marketing is very much alive and well. Don’t believe me? The folks at Salesforce found out that “Email marketing has an average ROI of 3,800 percent. For every dollar invested, the average return is $38.” Statista also did research to find that there are currently 3.7 billion global email users. This number is predicted to grow to 4.1 billion users by 2021. So yeah, email isn’t going away anytime soon. If you are able to add a form to your website and/or blog to collect email subscribers this is as good as gold for generating affiliate revenue. You obviously don’t want to spam your users with irrelevant content that doesn’t matter to them because they will unsubscribe in this case. 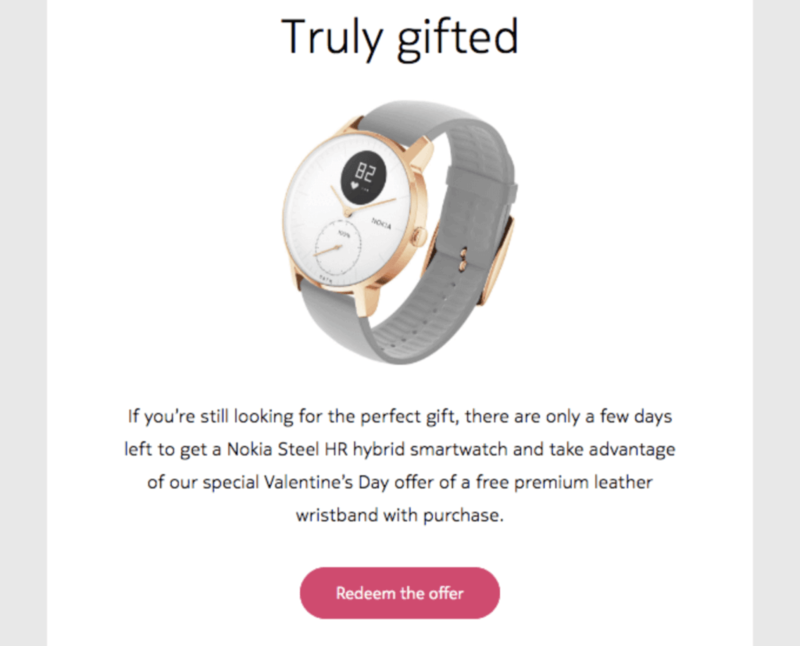 Make sure to always segment your lists to ensure you’re sending your emails to the right users that are likely to not just open and read your email, but also click the affiliate link to your offer. Evergreen content is search-optimized content that is continually relevant and stays “fresh” for readers over a long period of time. Blog posts can sometimes become like tweets and don’t have a very long lifetime value on the internet. Evergreen content is written to be relevant long past its publication date, with search traffic growing over time. When you’re searching for a specific topic and find a very in-depth article at the top of the Google SERPs that was written a while ago it was more than likely a piece of evergreen content. Since this content is so valuable to users and has such a long lifetime value it makes the perfect spot for an affiliate link. You might need to refer back to it every 6-12 months to make sure it’s up to date, but otherwise, it generates content on it’s own. Facebooks groups are communities on Facebook that revolve around a certain type of niche. If you’re already an expert in a niche or just passionate about one you most likely are already part of several groups of Facebook. If not you can easily join a series of groups you’re interested in. Some of them are open for anyone to join and others are closed and will require access from the admin for you to join. Participate frequently in group discussions and aim to help as many community members as possible with your expertise. Over time you can provide your affiliate link to help solve users problems. Don’t spam the community with your link otherwise, you’ll likely get banned. Always be authentic and put the customer’s needs first. If you already have a business or personal brand you’ll want to create a Facebook Business Page. This is a great place to share updates about your company, upload new photos/videos, answer users questions, and of course, share your affiliate link. It can take a while to grow a Facebook Business Page and definitely helps if you have an established brand. One way to speed up the process is to pay for Facebook ads and direct users to your Facebook page. This can dramatically increase your reach to a targeted audience and help get a lot more eyes on your page. If a user is interested in your content they can “Like” your page and will receive updates in their timeline of content you post. Frequently update the page with new content and be sure to share your affiliate link in the pages bio and in relevant posts. Selling a cold lead on a product or service is tough! But selling a friend or family member is much easier. These people already trust you and you have already built a strong relationship with them. There is no need to lead them down a funnel or try any sneaky sales tactics on them. Your personal Facebook profile is full of friends and family members that would more than likely love to buy whatever affiliate product or service you’re trying to promote. Frequently share personable posts on your feed educating your friends and family with the benefits of your affiliate product or service. If they are interested in your offer it can be a very easy way to earn affiliate commission fast. If creating your own blog is too much work for you then guest posting might be more up your alley. Guest posting allows you to create content for other popular blogs in your niche and earn backlinks to your website and/or share affiliate links to your offer. It’s a great way to capitalize on an audience that might have never heard of you and gain exposure from someone else’s audience. Many small to medium blogs love to have people guest posting because it’s free content for them and free exposure for you. To do this create a list of all the popular bloggers that cover content that relates to your affiliate offer and email them to see if they are interested in you creating some valuable content for their users. Infographics have grown incredibly popular over the years as they combine facts, statistics, bite-sized content and are very visually appealing. Many infographics get tens of thousands of views and are very shareable on social media especially websites like Dribbble and Behance. If you’re a designer or have access to design resources this could definitely be your ticket to lots of referral traffic to your affiliate link. Include your affiliate link at the bottom of the infographic so viewers can easily search for it as well as in the description of any site you’re posting it to. Instagram has grown into one of the most popular social networks available. The engagement on the app is unlike any other social network. Similar to Facebook if you don’t already have a large following on the app you’ll want to use Facebooks Ad Network to create Instagram feed or story ads to grow your following count. Make sure your account targets one specific niche and use only high quality, beautiful imagery to make your feed appealing to users. Once you’ve built your account up to a decent following and can see your followers are engaging with your pictures you can begin advertising your affiliate link in all your posts as well as the link spot in your bio. Landing pages are a fantastic way to collect leads and further explain what your affiliate offer is without having them bounce off the page. When you’re trying to get a lead to focus on something and you have links and ads all over the place it’s hard for them to focus. A well-designed landing page solves all these problems and allows the lead to focus on only one call to action aka your affiliate offer. You can link to your landing page on your website, blog, website ads, email or just about anywhere. If the affiliate offer is rather complicated and you would like to further explain what the offer is before allowing them to access it then a landing page would be a great choice. Linkedin groups are similar to Facebook groups, but its a more professional platform. This is where you will find people wanting to network and build relationships. If you join the right set of groups and build relationships with members then they might be more then happy to purchase your affiliates offer. Your Linkedin profile is like your online resume. Anyone that is interested in your business or past experience can refer to it for a breakdown of everything you’ve done in your career. At the top of the Linkedin profile, there is an intro section where you can give a short blurb about yourself. This is the perfect spot to include your affiliate link if any fans or leads were to view your profile. Online courses have really blown up over the past decade and have become a top resource for learning in-depth details about a specific niche. Whether it be digital marketing, e-commerce selling, computer languages, graphic design, etc you can find a course for just about everything these days. If a customer was to sign up for your course they have clearly shown intent that they trust what you have to say and are open to learning. Dropping your affiliate link throughout the course under specific topics your offer is related to can yield you great returns. Online events are a fantastic way to attract hundreds or even thousands of leads into your funnel that normally wouldn’t be able to attend an in-person event. They have grown in popularity primarily because of the low cost of starting them. All your participants need is a computer and strong internet connection and you’re set. Since you’re creating a one on one relationship with your audience it’s much easier to sell to them as opposed to an ad or email campaign which feels less human-like. Educating attendees on the affiliate offer and dropping a link in the chat box is the perfect way to get easy sign-ups and answer any potential questions customers might have. Pinterest isn’t hyped up nearly enough as it should be. Believe it or not, Pinterest is the world’s second largest search engine next to Google. While websites like Instagram and Facebook become saturated with so many users competing for views, Pinterest hides in the shadows. If you’re posting pictures on Instagram already you might as well organize your boards into categories on Pinterest as well. Make sure to write detailed descriptions for each image and include your affiliate link on images that are relevant to your offer. Podcasting is quickly replacing radio and has grown in popularity tremendously over the past decade. Popular podcasts have die-hard fans that will do or buy just about anything the host tells them to. If you’ve never done a podcast all you need is a quality microphone, audio editing software, and a computer. There is a very low barrier to entry which can dramatically increase exposure of your brand if you grow a following in a unique niche that is still untapped. Podcast listeners are used to the host advertising a sponsor or promo because they understand that’s how the podcast is funded. So mentioning your affiliate offer and telling listeners where they can get more information on it could be the perfect recipe to earn you dramatic results. If you’re an expert on a niche and love helping others by answering questions then Quora is where you gotta be. Affiliate links are strictly prohibited when commenting on a question. 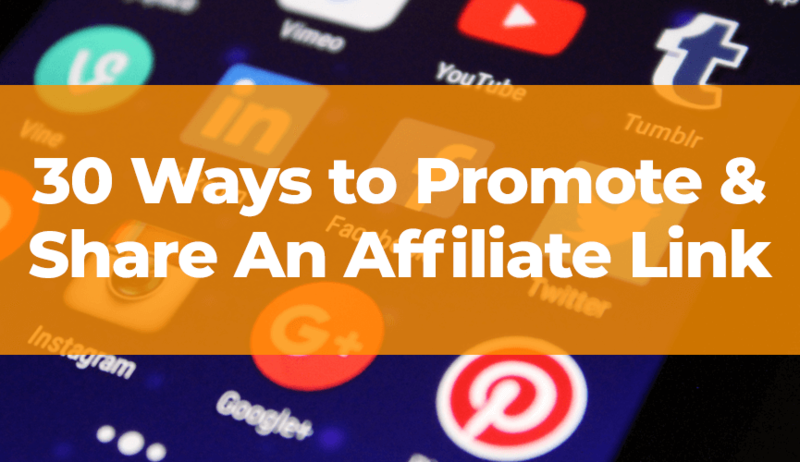 But you can add a link to a landing page, blog post, or your website and if it just happens to promote your affiliate offer then you can bypass this rule. There are thousands of people needing answers to questions on Quora and if you think your affiliate offer can actually solve their problem then answering their questions and including a link for more info can easily get you commission fast. Reddit is a very tight-knit community that you definitely don’t want to be spamming with your affiliate link. This will get you banned very quickly from the community. However, if you provide the community with very valuable information and show initiative that you are actually trying to help people then you should do just fine. As with most communities affiliate links are strictly prohibited but if you redirect users to a landing page with more info on your affiliate offer or a blog post then you can bypass this rule. If you’ve developed an Affiliate offer slideshow presentation for a video or webinar then Slideshare is the perfect place to repurpose the content. After most slideshows are presented they die and the content is forgotten about. But it doesn’t have to be. There are lots of slideshow presentations on Slideshare with over a million views. That’s a crazy amount of eyes that could easily want to learn more about your Affiliate offer and enter your unique URL for more details. If you’re going to spend the time to invest in social media then Twitter could still be a good option. Every second, on average, around 6,000 tweets are tweeted on Twitter (visualize them here), which corresponds to over 350,000 tweets sent per minute, 500 million tweets per day. So if you’ve heard Twitter is a dying platform you’re sadly mistaken. It is still going very strong and is everyone’s favorite spot for short, bite-sized content. Since you aren’t able to describe in great detail what your Affiliate offer is all about because of Twitter’s character limit it might be worthwhile to direct leads to a landing page for more info. If you’re planning to spend the time to create video content to promote your Affiliate link you might as well share your videos on as many platforms as possible. YouTube isn’t your only option. Vimeo also provides high definition video uploading and is trusted by over 70 million users worldwide. 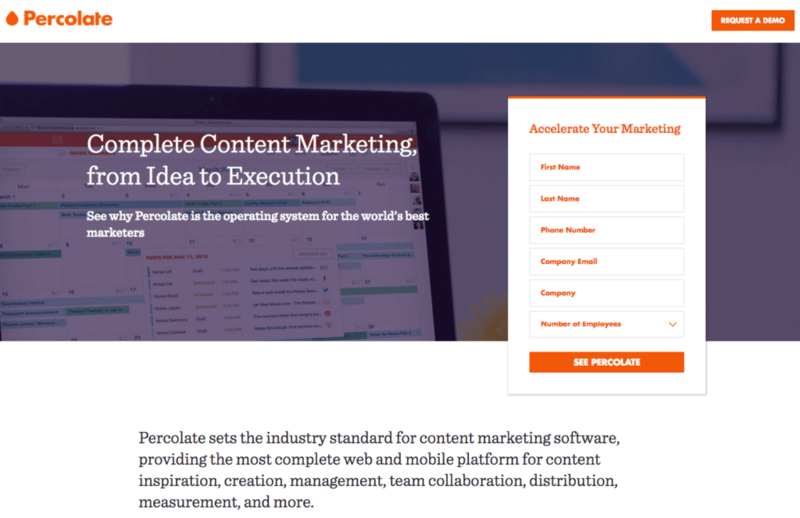 They also provide fantastic embed tools if you plan to host your affiliate link on your landing pages, website or blog. With new tools like Facebook, YouTube, and Twitch Live Streaming it’s easier than ever to plan and host a webinar or AMA for your audience. This will allow you to promote your Affiliate offer to a live audience and educate them on what product or service you’re offering. It’s the closest form to a real-life interaction with your audience. You can educate your viewers, ask for the sale and finally answer any questions they might have. If filming a webinar live freaks you out you can also create a pre-recorded webinar and host it on a landing page, website or blog. This will allow you to edit out any awkward silences or errors you might have made while recording. The king of affiliate revenue is YouTube. It’s also one of the most difficult and time-consuming platforms to grow on. If you can successfully grow your channel on YouTube and gains tens or hundreds of thousands of die-hard subscribers you will be set for life as an affiliate. Leads flock to YouTube for product reviews, how to guides, and general advice on products and services. Including your affiliate link in the description of all your videos and mentioning it in as many videos as possible can deliver very powerful results. But don’t think becoming a YouTube star is easy by any means. It takes hundreds of hours of research, filming and editing to be successful on the platform. If your goal is to be a successful YouTube star and generate affiliate revenue on the side you’ll want to engage with your viewers and respond to as many questions as possible. If you feel that your affiliate link or more details on your affiliate offer can solve their problem and answer their question then make sure to drop it in the comment section. Don’t share your affiliate link if it’s not relevant to the question or helpful to the viewer asking the question because they will lose respect for you and can possibly unsubscribe from your channel. There you have it! You now have 30 different ways to promote and share your affiliate link to generate as much positive cash flow as possible. We suggest you check off as many of these tactics as possible to find out which ones work on your audience. Some tactics will generate a lot more leads than others and it all depends on the product or service you’re marketing and the audience you’re trying to target. If you’re interested or experienced selling on Amazon and want to earn some cash on the side you might want to check out the Jungle Scout Affiliate Program. The program is free to join, easy to sign-up and requires no technical knowledge. So you really don’t have an excuse to not join it. If you think we’ve left any marketing tactics out please feel free to leave us a quick comment below. We would love to hear any other ideas we might have not thought of.